If you ever happened upon an uplifting note taped to your airplane window, we may have an idea as to the culprit. 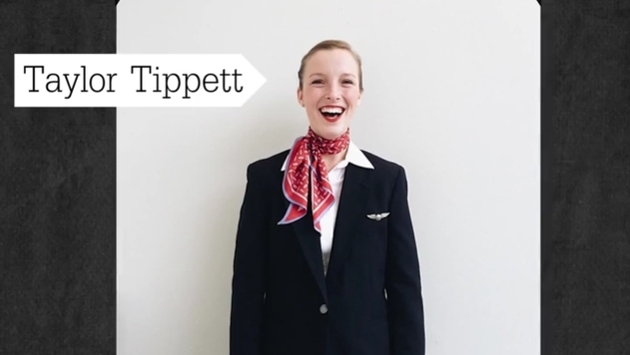 Seeker Stories (h/t Digg) featured the motivational exploits of flight attendant Taylor Tippett who has a habit of taping little notes to the window of her airplane cabins. The novel practice has garnered her quite the social media following. She currently has 111,000 followers on Instagram. And that number will only continue to grow as we can’t help but appreciate kind, inspiring words out of nowhere. Now we were befuddled as to when Tippett, who is based out of Washington D.C., places her notes. Thankfully, the video settles that for us. If you see some extra motivation just sitting there on your window seat, don’t be alarmed. That’s just Tippett working her magic. Or, perhaps, it’s one of the countless people she has inspired.